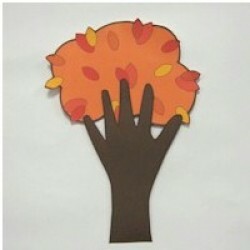 This simple fall handprint craft will delight little crafters. are able to see the child’s handprint as well as the foliage. Love the idea and will use in my 3 year old classroom!